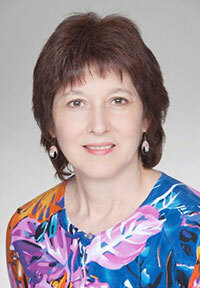 Dr. Lewis joined West Reading Radiology Associates following her fellowship in 1990. Her special interests include cross-sectional imaging, oncologic imaging, and thoracic imaging. Dr. Lewis currently serves as Chair of the Department of Radiology at Reading Hospital. She is active in organized medicine, having served as a councilor for the Pennsylvania Radiological Society (PRS) or as a member of the Board or Executive Committee of the PRS since 2003. She is Chair of the PRS Legislative Committee and Bylaws Committee. She is a past President of the PRS. Dr. Lewis represents radiology as the Specialty Delegate for the Specialty Leadership Cabinet of the Pennsylvania Medical Society and is a member of the Council Steering Committee for the American College of Radiology.